The shipping laws in the United States are complicated if you're trying to send a gift of wine. Wineries hate it as much as you do, but there are workarounds. If you live in a state where shipping is free-and-clear, yay for you! If you need to ship wine somewhere with stricter laws though, you need this page to help you shop. These wine of the month clubs will ship wine to Nebraska. Please send your legal inquiries to the companies directly. Please note: if you join or give a wine club after clicking our links we might earn a commission. For You & For Gifts Give any wine club gift and get two extra bottles of wine in the first shipment PLUS a $25 wine credit for the wine store. Until Apr 30. Use code EXTRAWINE at checkout or Click for This Deal. Overview: This wine club, one of our favorites, features hard-to-access, ultra-premium, mostly red wine, from California's boutique family wineries. An important thing to note: not all bottles shipped in this club have the same general cost. Instead of getting two $75 bottles, you might get a $140 and a $35 bottle. No matter how much it retails for, you'll always get interesting wine from the Siganture Series. What We Love: We love the wine we've received from this club, in fact it's on our Editor's Picks list because we'd sign up for this one. Also, they reward volume purchasing! If you can afford it, by upgrading to the 4-bottle per shipment program you can save up to $11 per bottle. Get a preview of the killer selection in their online wine store. Could Be Better: As a general rule, we think The California Wine Club has little they can do to improve. Whether you're buying for yourself or as a gift, they've really done a lot to create a wine club worth joining. Exclusive Deal For You Join today and save $25 on your first Winc box. Free shipping on orders of 4 or more bottles. Click for This Deal. Overview: Winc set out to change the wine industry by finding new ways to get better value to wine drinkers in the under $15 range, and boy have they ever. By delivering unprecedented value at $13 a bottle and personalized selections geared for every palate, Winc is a standout wine of the month club. If you're ready for more sophisticated wines, you can upgrade to Winc Select. Either way, you can save even more money by participating in their myriad rewards programs. What We Love: We love how they go above and beyond to reward loyal customers with substantial savings and invitations to a premium level program. No other wine club offers this level of loyalty rewards, or this much fun! Also, as time has passed under wine director Ryan Zotovich, the selection of premium wines has both grown in selection and quality. Could Be Better: Winc works so hard to make their service great that it's hard for us to think of something they should do to make it even better. For Gifts Gift a give of 3 months or more and they'll receive a bonus bottle of Sparkling Wine in their first shipment. Until Apr 30. Click for This Deal. Overview: This wine subscription focuses on high-quality and value-priced wines from small family wineries in California, and is perfect to give as a gift or to join yourself. Even though California wine is legendary, most of us can't afford legendary wine prices. The California Wine Club's "Love it" Guarantee means you'll love your wine or they'll send you something else at no additional cost. What We Love: The California Wine Club appears on the most lists of best wine clubs on our website because they overdeliver on value, customer service, and quality. The Premier Series is their biggest wine club and is the perfect gift for a California wine lover. If you join for yourself, you'll also enjoy wine credits, concierge service for wine tasting trips to California, and more perks of membership. The California Wine Club now regularly offers introductory discounts, and that makes this wine club a better value while still delivering fantastic quality. Could Be Better: Our only complaints about the Premier Series are twofold. First, if you order red wine only or white wine only, you'll get two of the same wine in your shipment. Second, they offer a 4-bottle version of the wine club (with free shipping), but you have to call to upgrade and we wish they would just offer it on the website when you sign up. Overview: One-of-a-kind wine tasting club which delivers wine by the glass instead of in full size bottles so you can taste your way through sommelier-selected grown up juice. Reorder full bottles or more glasses of what you love. Now delivered quarterly. What We Love: We especially love that sommelier Tyler Kennedy picks the wine — and it shows. We’ve been super impressed with the quality of each wine we’ve received. The unusual selection genuinely seems like a somm picked the wines. We also love the pricing which rewards bigger customers. Could Be Better: Given the care taken to select interesting wine, we want more more information about the wine regions, the wineries, and the winemakers in the tasting notes. For You Join today and try 6 wines selected based on your preferences for just $39.95 (normally $135), shipping is included. Click for This Deal. Overview: An affordably-priced personalized wine club that learns what you like as you receive, drink, and rate six bottle shipments. International, domestic, and award-winning wine from a thoroughly modern wine subscription box service. What We Love: Compared with other wine subscriptions in this price category, we think Firstleaf has nailed ease-of-use, presentation, and offers reasonably-interesting wines. We also really like that they identify the body, acidity, sweetness, fruitiness, and tannin level for each wine they sell. You can review the wine before it is shipped and swap out wines that have characteristics you don't like. Could Be Better: We think their marketing materials make them seem better than they really are, but with a 100% satisfaction guarantee and inexpensive introductory shipment, you can decide for yourself. 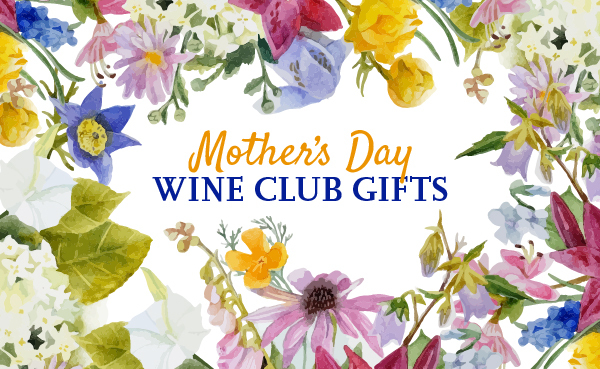 For Gifts Save $10 when you give a 4-month wine club gift. Use code SAVE10 at checkout. For Gifts Save $15 when you give a 6-month wine club gift. Use code SAVE15 at checkout. For Gifts Save $25 when you give a year of wine gift. Use code SAVE25 at checkout. Overview: This is the entry-level wine club from the International Wine of the Month Club, but unlike some other wine clubs in this price range you'll always receive Estate-bottled wines. Also for a wine club in this price range you get excellent tasting notes and winery information for every wine that's shipped. What We Love: Unlike some other wine clubs which focus on acquiring closeout wines to ship to their members, this wine club cares a great deal about coming up with consistent selections befitting their reputation of 25 years in the business. Their tasting panel includes proprietor Kris Calef, wine professionals, and everyday wine drinkers, so they excel at finding palate-friendly wines with wide appeal. Could Be Better: We'd love to see four-bottle shipments offered by this wine club as a way to help mitigate the cost. The company offers a reliable, quality-driven service, so you don't really get deals on the wine in the shipments. While we'd probably pass on this particular subscription for ourselves, we think it makes a terrific wine club gift — especially if you mix it up with some of their other cool monthly clubs. Overview: We recently received several shipments from Vinesse, including the Chardonnay club, and they've really stepped up their wine buying. If Chardonnay is your thing and that's all you want to drink, now you can get monthly deliveries of your favorite fruit juice. Plus, you get Vinesse's rock solid satisfaction guarantee for every bottle, taking all of the risk out of joining a wine club. What We Love: We strongly support all niche wine clubs. The taste of wine is subjective and we think everyone should drink what they love. Given the high delivery fees on this Chardonnay subscription from Vinesse, we recommending joining the 12-bottle wine club and have the shipments sent as often as is appropriate. Could Be Better: We'd love to see customers rewarded for buying bigger allotments. "Buy more save more" pricing would be a great addition to the line-up. We'd also really like to see the shipping costs come down dramatically. For You Join today and get 12 bottles of wine PLUS two bonus bottles and two stemless crystal wine glasses for just $69.99. Click for This Deal. Overview: This 12-bottle case of wine club really jumpstarted this type of affordable wine subscription in the US and features value-focused white and red wines from around the world. Their $12 international wine selections typically offer better value in white wine than red. Take advantage of their introductory offer of just $69.99 for a case, but be warned, you are signing up for recurring shipments at $149.99. What We Love: We've received many shipments of wine from the WSJwine Wine Club over the years, but we continue to hold the club in relatively low esteem. It's perfect for a wine lover who wants an inexpensive selection of International wine delivered to their door every quarter. It's not a good fit for anyone who likes wine that sells above $15 at the grocery store. Could Be Better: Because of the success of the WSJwine club, many other wine clubs are competing with 12-bottle case clubs priced around $170 per quarter (including shipping costs). Some of them are offering much better quality wine for that price so we know they could, too. For You Save $50 on your first 6-bottle case, just $49.99. No voucher required. Click for This Deal. For You Save $100 on your first 12-bottle case, just $89.99. No voucher required. Click for This Deal. Overview: NakedWines.com isn’t really a wine club the way you think of one, but it’s a personalized wine buying service that you pay into on a monthly subscription so… we treat it like one. It also happens to be the most interesting wine club we’ve come across in a while. What We Love: The list of things we love about NakedWines.com is long, but here are some of our favorite bits: the wines we tried were excellent and priced exceptionally well; the winemakers interact with commenters on a regular basis; you can make this wine club anything you want it to be. Could Be Better: As with some other large wine clubs, the marketing is misleading at times, but the product is solid, so we're not getting our knickers in a twist about it. Overview: This wine club is perfect for Cabernet lovers who lack the patience to cellar red wines and those who want to explore aged wine with a Satisfaction Guarantee. Each shipment contains two bottles of perfectly-cellared, mostly Napa, California Cabernet Sauvignon that's ready to drink now. What We Love: We like that they bring you a variety of aged Cabernet Sauvignon, at different levels of quality from exceptional to rarified. Each shipment explores the different wine regions of Napa Valley and Sonoma County, like Oakville, Alexander Valley, Atlas Peak, Howell Mountain, and Spring Mountain District. We also love that you can buy Cabernet online in their store.